On Aug. 21, 2017, America will fall under the path of a total solar eclipse. The solar eclipse will darken skies all the way from Oregon to South Carolina. Totality (when the moon completely fills the center of the sun) will only be visible for at most 2 minutes 40 seconds along a stretch of land about 70 miles (113 kilometers) wide. That path will pass through Oregon, Idaho, Wyoming, Nebraska, Kansas, Missouri, Illinois, Kentucky, Tennessee, Georgia, North Carolina and South Carolina. Because the shadow of the moon will move from west to east, totality will occur later in the day the farther east you travel. Everyone in the continental U.S. that is outside of the main path will still be able to see at least a partial solar eclipse, (when the moon partly fills the center of the sun). 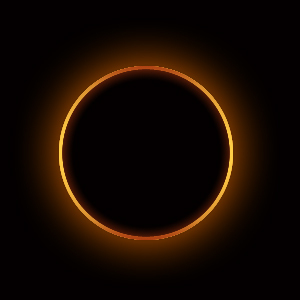 REMEMBER: It is only during totality, (when the moon completely fills the center of the sun), considered a safe time to directly view the eclipse with the naked eye. But skywatchers should NEVER look at a partial solar eclipse without proper eye protection. Looking directly at the sun, even when it is partially covered by the moon, can cause serious eye damage or blindness.